I solemnly swear I am up to no good…but Universal Orlando seems to be doing plenty of it as they announce not only the opening of the next installment of The Wizarding World of Harry Potter, but also the plans for their newest event, A Celebration of Harry Potter. The three day event will beginn just a day after Universal unlocks the secrets about Diagon Alley, and will celebrate all things Harry Potter. Universal Orlando has also revealed who they will have on hand for guests as well. 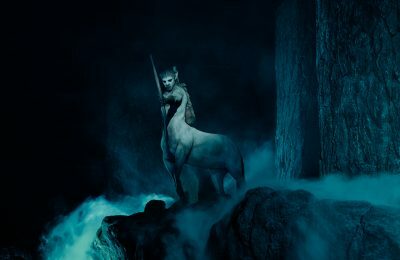 January 24th guests will be treated to three days of Wizards, magic and of course, behind the scenes looks at one of the biggest franchises in history. A Celebration of Harry Potter will bring some of the cast and crew together to talk with fans and guests about the films, and even get a glimpse at the all new Diagon Alley, which is slated to open in Summer of 2014. James and Oliver Phelps (Fred and George Weasley) as well as Evanna Lynch (Luna Lovegood) are all scheduled to be on hand for a Q&A session with guests. All events will be included with theme park admission, and all panel discussions will be on a first come first serve basis. While we don’t have the times just yet, we will let you know when they are released. Other activities included in the event include wand dueling, a look at the new covers for the books, new information about Pottermore and even more! A Harry Potter Tribute: “A Celebration of Harry Potter” will kick off with a special evening event starring several cast members of the Harry Potter film series and award-winning artist Kazu Kibuishi, who recently re-imagined the Harry Potter book covers for Scholastic and beautifully captured pivotal scenes from the enchanting Harry Potter stories. 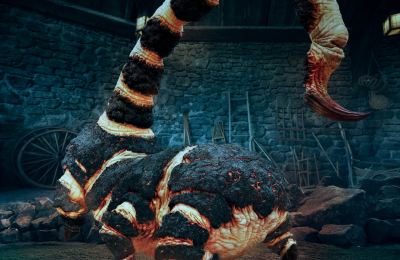 Guests will enjoy film clips, Q&A sessions with cast members, and get a glimpse of new details about The Wizarding World of Harry Potter – Diagon Alley, opening summer 2014. My Life on the Harry Potter Film Set: Talent Q&A’s: Actors from the Harry Potter films share what it’s like to work on a major motion picture and be part of film history. Duelling Demonstration & Wand Combat Masterclass with Paul Harris: Warner Bros. Studio Tour London – The Making of Harry Potter will present a spellbinding masterclass with the world’s only Wand Combat Choreographer, Paul Harris. Paul choreographed the epic battle scene in Harry Potter and the Order of the Phoenix and will be on hand to teach you the technique behind wielding a wand. Graphic Design for the Harry Potter Films with MinaLima: Graphic designers Eduardo Lima and Miraphora Mina from the studio MinaLima will discuss their ten-year involvement in establishing the visual graphic style on the film productions of Harry Potter and present some of the iconic props they created for the films, including the Marauder’s Map, the Daily Prophet and The Quibbler. Bringing the Harry Potter Films to the Theme Park – Set and Prop Design of The Wizarding World of Harry Potter: Harry Potter film and theme park Set Designer Alan Gilmore and The Wizarding World of Harry Potter Prop Master Eric Baker will present a look at how ideas move from the books to screen, and then become real-life theme park experiences. Go Behind the Scenes of Pottermore.com from J.K. Rowling: Pottermore’s Creative Director gives an exclusive insight into the creation of Moment artwork for Pottermore.com, and a look at the next installment of Harry Potter and the Goblet of Fire. 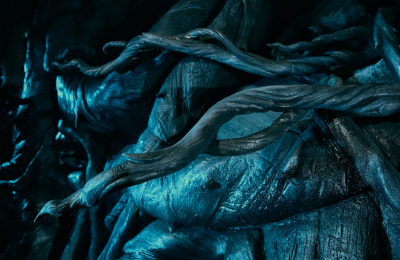 Plus, get ready for an exclusive reveal as he shares his favorite upcoming new entry from J.K. Rowling. Also as part of the event is the all new Harry Potter Expo, which will be located in one of Universal Orlando’s massive soundstages. Guests will be able to get a glimpse of all their favorite Harry Potter memorabilia, including stamps, and book covers. Guests will also be able to get a look at the London Tour which takes guests into the film by walking along sets used in the film. Harry Potter: The Exhibition: Guests will get an up-close look at the artistry and craftsmanship that went into creating the iconic costumes that have appeared throughout the Harry Potter film series. They will also have the opportunity to get sorted into Hogwarts houses during a Sorting Hat experience. Warner Bros. Studio Tour London: This interactive experience will feature a duelling presentation by the world’s only Wand Combat Choreographer, Paul Harris. MinaLima: Limited edition artworks and reproductions based on original prop designs will be on display, including iconic pieces, such as the Marauder’s Map and the Daily Prophet. A selection of original graphic props from the films will also be on display, and on-hand to meet guests will be Miraphora Mina and Eduardo Lima. Pottermore from J.K. Rowling: Go behind the scenes of Pottermore.com from J.K. Rowling. Find out how Moments from Harry’s story are created from the first sketch to the final splash of color, get an exclusive look at artwork that has not yet been released, and experience Pottermore.com for yourself – defeat your opponent in a wizard’s duel or try your hand at brewing magical draughts and potions. Scholastic: Celebrate the 15th anniversary of the U.S. publication of Harry Potter and the Sorcerer’s Stone and share your message about what Harry Potter means to you. Award-winning artist Kazu Kibuishi, who recently reimagined the Harry Potter book covers, will be signing posters at limited times throughout the weekend. United States Postal Service: Guests can check out the limited-edition Harry Potter collection of 20 new Forever stamps, featuring images of Harry Potter, the extraordinary boy wizard, and the adventures he encounters with the friends, heroes, villains and creatures that make up his world. Also, see collectible products featuring the stamps, meet the stamp art director, and get special cancellation postmarks commemorating this celebration. 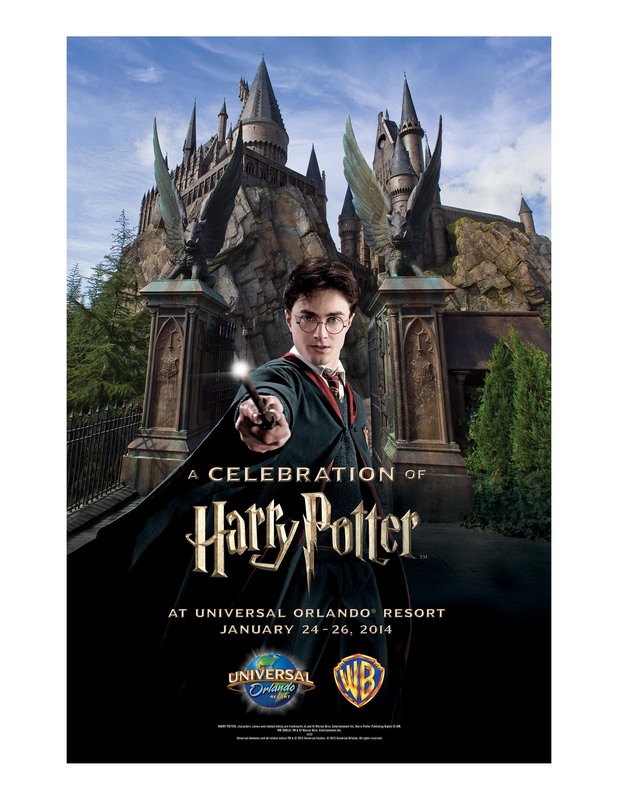 The weekend event is being presented by Universal Orlando and Warner Brothers Entertainment. The event is included with paid theme park admission, and will also be included for Universal Orlando annual passholders. If you do not have an annual pass, guests will be able to purchase a special 3 day two park ticket that will get access to all the huge events planned. Universal Orlando has told us that they will be adding additional talent to the line up in the coming days. Pay attention to the official Universal Orlando Facebook page for the announcements. If you can’t get to the festivities, or just want to ask a question to some of your favorite cast members, Universal will be having a live Twitter Discussion on January 24th. James Phelps, Oliver Phelps and Evanna Lynch are kicking off our A Celebration of Harry Potter event with a Q&A. Tweet your questions to us @UniversalORL using #AskHPCast to join in. Then, stay tuned to twitter.com/UniversalORL to see the LIVE discussion on 1/24! It really seems that Universal is going all out for this year’s event, and it could very well become an annual celebration, much like “Star Wars Weekends” at Disney’s Hollywood Studios. That event is a huge success, and if Universal can pull in the celebrities, as well as give some great features like maybe a special show every year, it could very well pay off for them. Via the official Universal Orlando Facebook Page, two more cast members have been announced for this year’s Harry Potter Celebration. Special guests Mark Williams (Arthur Weasley) and Matthew Lewis (Neville Longbottom) will also be joining us for the Celebration of Harry Potter event this weekend! Be sure to join us! Daddy Weasley AND Neville Longbottom? Arthur was one of my favorite characters in both the film and the books, with a grace and goofiness that many dads could relate to. Matthew Lewis’s Neville was one of the bigger surprises in the films as he matured surprisingly, and was a great focus in the final films. Harry Potter Expo-Located in Soundstage 33 at Universal Studios Florida. Open from 4-6p.m. Harry Potter Expo-Located in Soundstage 33 at Universal Studios Florida. Open from 9a.m.-7p.m. My Life on Set-Cast Q&A Toon Lagoon Amphitheater 10a.m. and 2p.m. Bringing the Harry Potter Films to the Theme Park –Set and Prop Design of The Wizarding World of Harry Potter- Toon Lagoon Amphitheater 10a.m. Graphic Design of the Harry Potter Films with MinaLima-Toon Lagoon Amphitheater 2p.m. My Life on a Film Set: Talent Q&As-Toon Lagoon Amphitheater 3:30p.m. What are you most excited about seeing at A Celebration of Harry Potter? Let us know in the comments below! Stay tuned for more updates, and be sure to follow along with us on Twitter @BehindThrills for the latest!